Dr. Jin is Professor and Chairman of the Department of Physiology at Wayne State University School of Medicine. A 1983 graduate of the Fourth Military Medical University in Xi’an, China, Dr. Jin completed a residency in cardiovascular medicine and an M.Sc. degree in Immunology in 1986 before entering the Graduate College at University of Iowa. He received his Ph.D. in Biology in 1989 and completed postdoctoral research fellowships at University of Texas at Austin and University of Alberta, Canada. 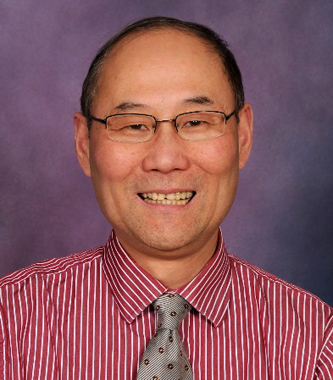 Prior to joining the faculty of Wayne State University as Chair of the Physiology Department in 2009, Dr. Jin was Assistant Professor of Biochemistry and Molecular Biology at University of Calgary, Canada, Associate Professor of Physiology and Biophysics with Tenure at Case Western Reserve University School of Medicine, and Section Chief of Molecular Cardiology at Evanston Northwestern Healthcare Research Institute and Professor of Medicine with Tenure at Northwestern University Feinberg School of Medicine. He was named William D. Traitel Professor and Chair of Physiology at Wayne State University School of Medicine in 2015. Dr. Jin was elected to Wayne State University’s Academy of Scholars in 2016. Dr. Jin is a leading researcher in the field of muscle contractility and cell motility studies. Dr. Jin has published over 160 research papers and a number of review articles in international journals and serves as Editor-in-Chief for the journal Archives of Biochemistry and Biophysics. He is currently a standing member of the NIH Cardiac Contractility, Hypertrophy and Failure Study Section and principal investigator on two NIH R01 grants, an NIH R21 grant and an NIH T32 training grant. Dr. Jin has lectured at numerous national and international venues. Dr. Jin’s main research interest is in gene regulation, structure-function relationship and pathophysiological adaptation of contractile and cytoskeleton proteins. Research in Dr. Jin’s laboratory is focused on actin thin filament regulatory proteins troponin and calponin. Dr. Jin is the sole editor of two troponin books: Troponin: Regulator of Muscle Contraction (Nova Science Publishers, Inc, 2013) and Troponin: Informative Diagnostic Marker (Nova Science Publishers, Inc, 2014). Originated from his scientific research, some of Dr. Jin’s recent discoveries have led to translational applications in the diagnosis of myocardial infarction, the treatment of heart failure, and the treatment of cancer metastasis as described in four US patents, of which he is the inventor. Dr. Jin has trained numerous undergraduate and graduate students and research fellows, many of them have developed into independent academic and research professionals. He is Director of the NIH/NHLBI-funded Detroit Cardiovascular Training Program at Wayne State University.